Gurudwara Bangla Saheb (Sikh Temple). Delhi, India. 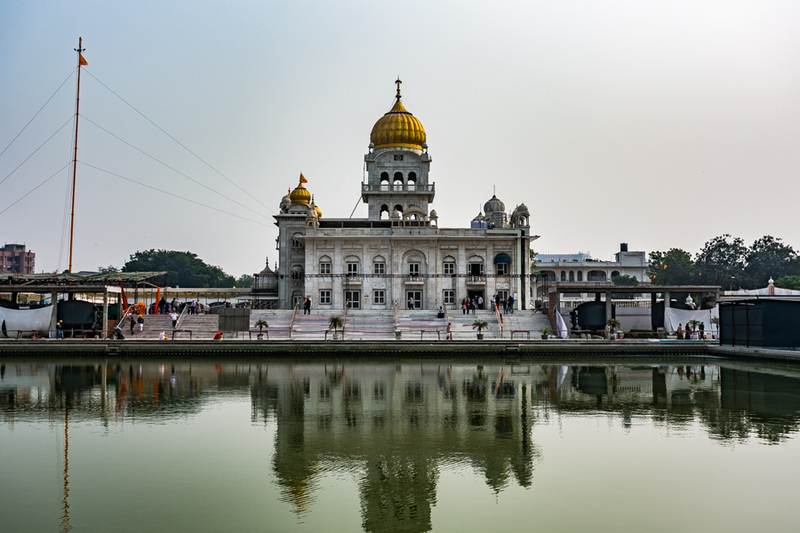 The Gurudwara Bangla Saheb temple (pictured below) is the largest Sihk temple in Dehli. The temple is open to visitors of all faiths and can be toured casually (but be sure to arrive dressed in modest attire; head coverings (required for both men and women) are available on-site). The temple features a large purification pond in which worshipers bath to cleanse themselves of their sins. 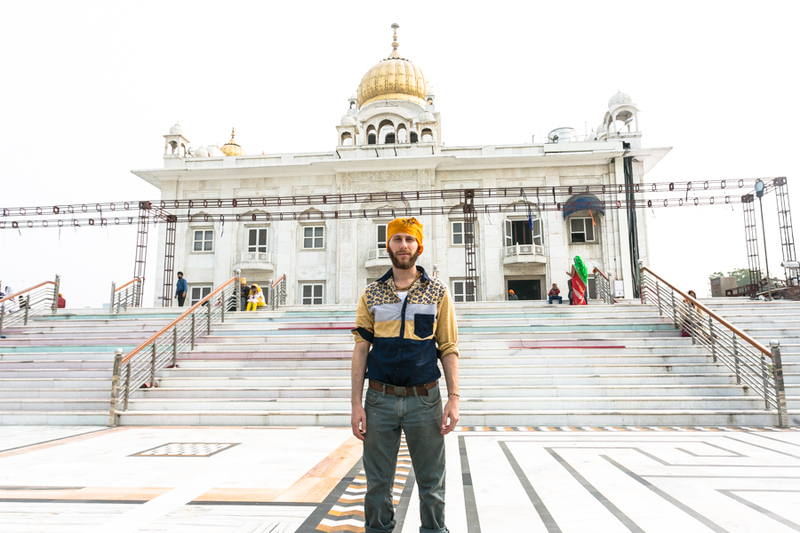 The temple, as with all Sikh temples, hosts a langar or "kitchen," where any visitor can eat a vegetarian meal for free. The Gurudwara Bangla Saheb temple alone feeds approximately eight thousand individuals on weekdays and twenty thousand on weekends. Visitors are required to remove their shoes and wash their feet before entering the temple grounds. Volunteers preparing food for the needy. Visitors are required to wear head coverings, like so.